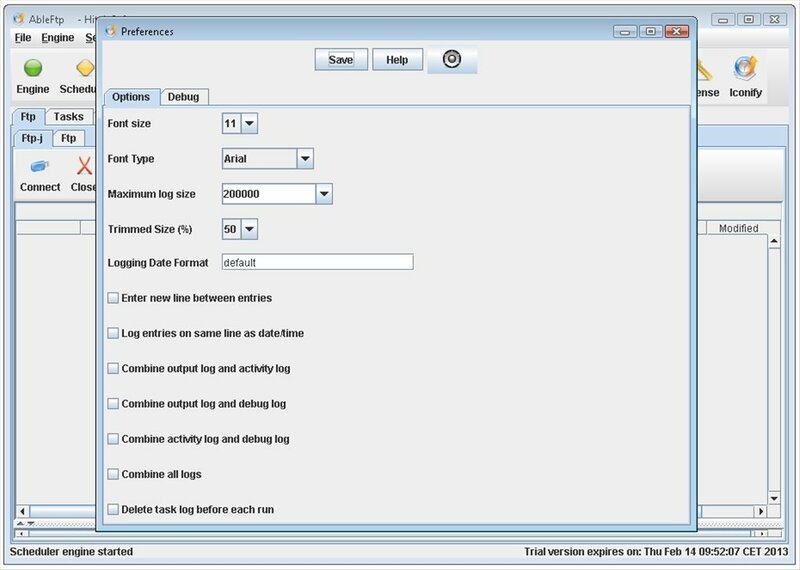 Working with FTP servers can be as simple as you want. 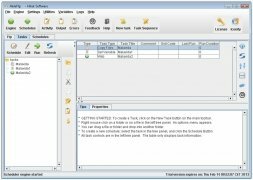 AbleFTP is an FTP client capable of performing programmed tasks and automating all kinds of operations. 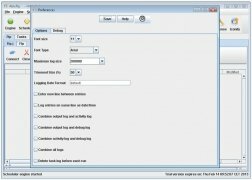 Not just another FTP client. 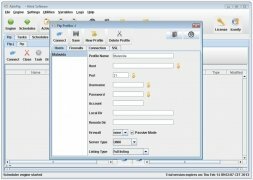 AbleFTP offers all the usual possibilities of an FTP client, yet it has a strong point which is programming and automating tasks, that will save you plenty of manual work as well as precious time. 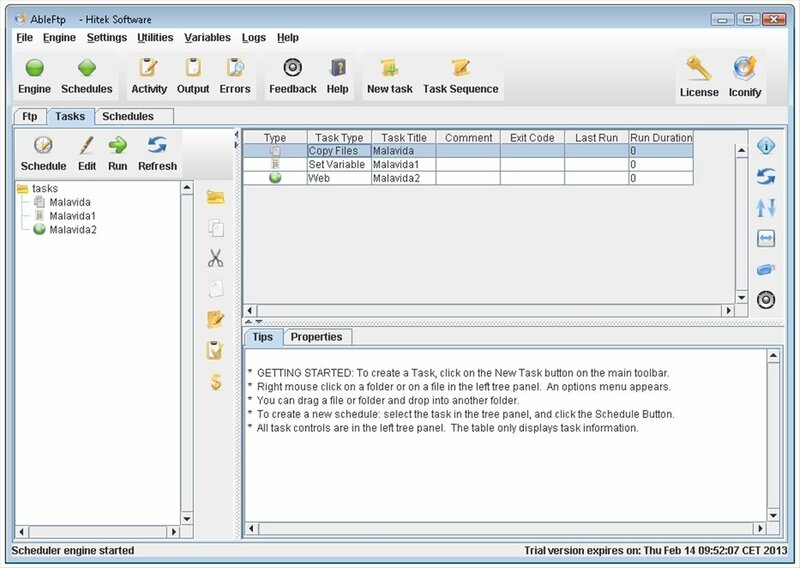 Create advanced FTP tasks and program them to run automatically. Designed with automation in mind. 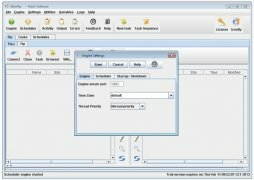 Create personalized scripts or edit existing ones. 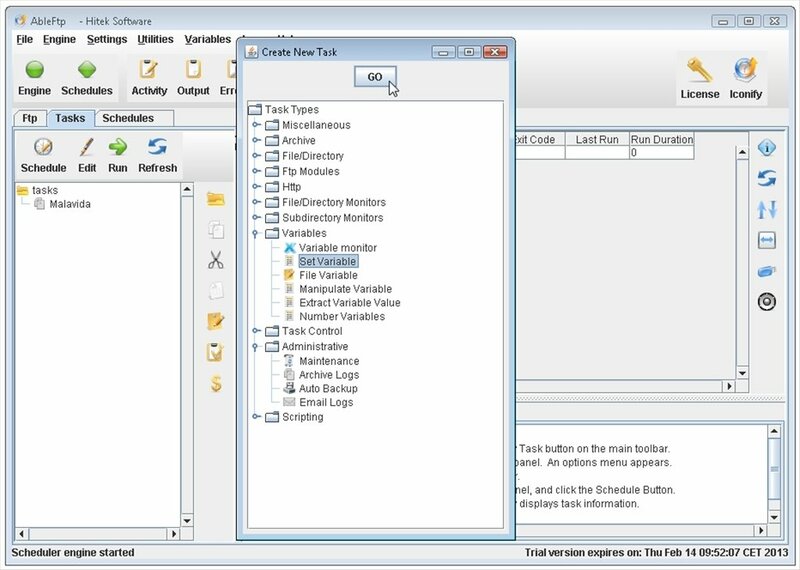 Receive alerts about errors and problems by email. Establish an unlimited number of connections. 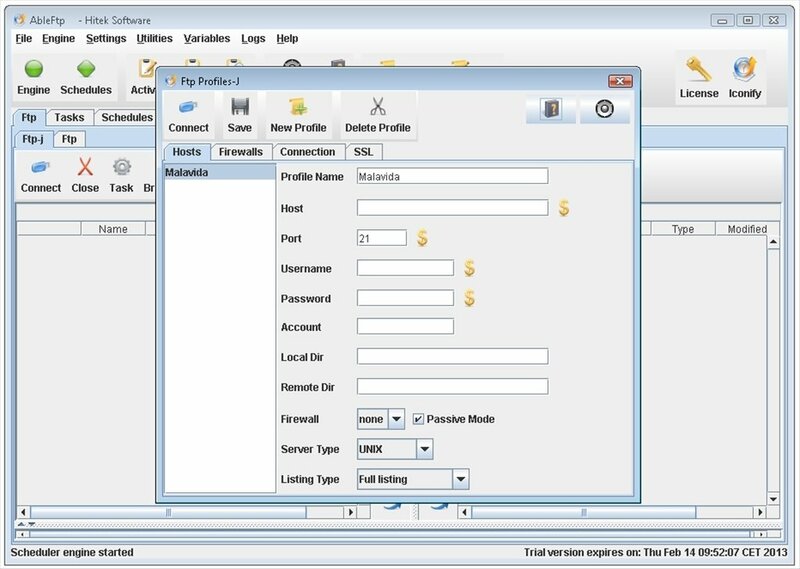 Includes support for SOCKS5, SOCKS4, SOCKS4A and proxy HTTP servers. 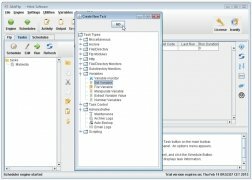 Download AbleFTP, an FTP client with support for task automation. Requires installation of Java Runtime Environment 1.6 or above, included with the software installer.